Light weight unit designed to last. Non slip rubber design for practicality. The RHA-200ATC refractometer is ideal for measuring both Ethylene Glycol & Propylene Glycol. The refractometer is equipped with the °C unit system and is capable of measuring with high accuracy, and providing precise results.The RHA-200ATC comes equipped with a clear reticle for easy reading and there is no need for batteries as it works on ambient light. 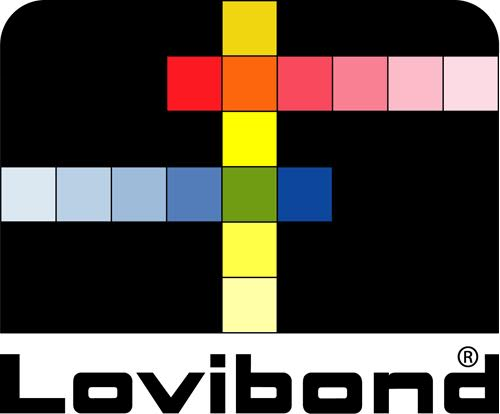 Easy to use, just take a small sample of solution and drop in on to the prism to get a reading in seconds. 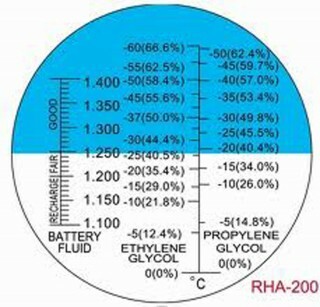 It can also be used to measure the concentration of the Antifreeze liquids. 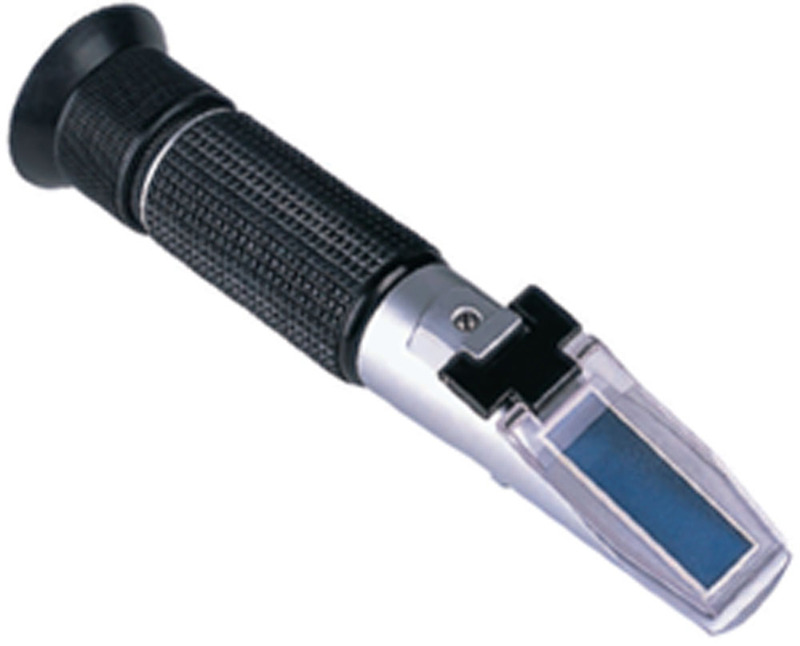 The RHA-100ATC’s built in automatic temperature compensation system means the refractometer is highly reliable and provides excellent results.